Hybrids crossed from Oriental x Trumpet types; combining the exquisite shape and fragrance of the first and the expanded color range of the latter. 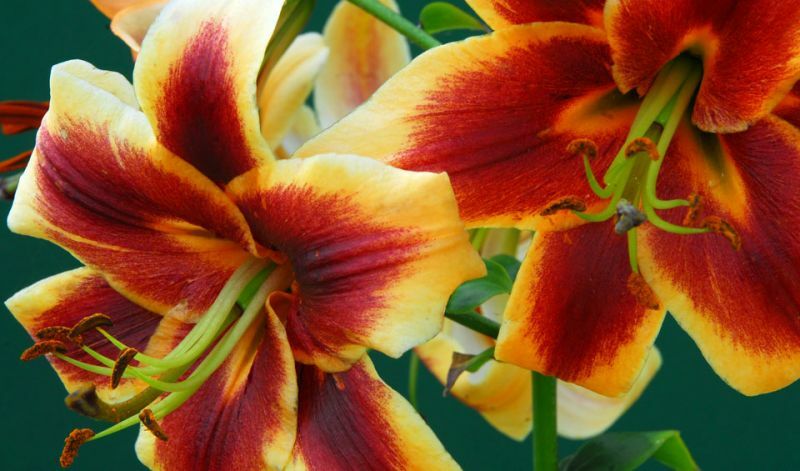 OT hybrids are particular rich in orange and rust colors but more are sure to come. Their fragrance is slightly milder than that of Oriental hybrids. 'Albany' (white & purple-red), 'Conca D'Or' (yellow & white), 'Red Dutch' (red-rust & yellow), 'Red Hot' (soft orange) and 'Sheherazada' (crimson-red & yellow).